Thank you for pointing out your rebuttal of my post on ‘The Sensible Bond’. Thank you also for maintaining respect and charity throughout your post and for not giving way to 'ad hominem' attacks. I think it right, however, to point out in what ways I disagree with your rebuttal. You question my starting point in a most curious way. I have no problem with people slipping into another diocese if they wish, or to religious houses where the liturgy is celebrated properly. The Church even allows the faithful to attend SSPX chapels for Sunday obligations if they have no alternative. I would not say someone had to stop and fight in a diocese unless they had the means and ability to do so. However, I did not leave the SSPX milieu on reading Fr Aulagnier’s words. If you reread the article, you will see that this happened in 2003 (Summer, as it happens), but that I did not leave until Easter 2004; by which time the question was no longer about a schismatic trajectory but about the consecrations and other matters. Let me add here that I made it clear from the start of my piece that I was not setting about writing a refutation of the SSPX’s position. I was telling my story of why I left. So, your claim that I ignore parts of Canon Berthod’s essay is overstated. My remarks were simply a summary and not an entire explanation. While we’re on the topic, however, neither of the two points you mention – sensus fidei and objectivity – solve the problem I pointed out in my original post which, to state it differently, was that the essay does not, in my opinion, deal with WHOSE reading of the Magisterium, in all its objectivity, is authoritative. In the 1940s Fr Feeney read the same documents which Roman theologians were reading on the question of salvation. Objectively, therefore, they read the same material. Yet there was a divergence in interpretation. Who decides who is correct ultimately? The Holy Office said Fr Feeney was wrong. It wasn’t for Fr Feeney to say that objectivity and his sensus fidei entitled him to dispute what Rome said, was it? Can you not see that an authoritative reading must be available when needed because the textual issue of ‘objectivity’ and the charism of ‘sensus fidei’ are sometimes not sufficient? Theologians discuss and explore the content of the Magisterium. But only the Magisterium of the Pastors proposes the teachings of the faith. In that context – and only in that context - those things which appear to be contradictory can be pointed out and brought forward for the Church’s clarification. You also miss the meaning behind the distinction of the Magisterium of the Teachers (experts) and the Magisterium of the Pastors (pope and bishops). It’s got next to nothing to do with pastoral reorientations. The distinction is not mine; it is St Thomas Aquinas’s, and it is far from being dubious. The former expression refers to those who were masters or doctors of theology, preachers, etc. : the theological experts (St Thomas himself as a teacher at La Sorbonne). The latter refers to those who have pastoral authority over a part of the Church through the episcopal and papal offices. In other words, the Magisterium of the Pastors is what is also known in more recent times as the ‘Teaching Church’. There is no equivalent later expression for the Magisterium of the Teachers. If you read the CDF document I mentioned on the Ecclesial Vocation of the Theologian, Note 27, you will see this distinction explained. It is one of the reasons which the CDF advances for asserting the authority of the Church over theologians of any stripe. Some people say Ultramontane politics are the key to understanding the late nineteenth-century popes. It’s an opinion but I think that is wrong. For you, humanism through the Church might indeed be the key to understanding the state of necessity and the clouding of His late Holiness John Paul II’s intellect rendering him virtually morally inaccessible. It’s an opinion but I don’t buy it. At the very least, it falsifies the late pope’s thinking by exaggerating certain elements of his thought at the expense of others. Fr John Saward’s book ‘Christ is the Answer: The Christ-Centred Teaching of John Paul II’ casts his thinking in a very different light. As for JPII’s theo-centrism, I think he was the first pope to dedicate at least one encyclical letter to each person of the Blessed Trinity. He renewed devotion to the Sacred Heart through establishing the Feast of Divine Mercy, and promoted that message and canonised the messenger. His project for humanism was to re-orientate it towards God. If anyone knew what Godless humanism could do, it was a man who spent thirty years of his career under the jackboot of communism. To recognise the authority of the Vatican Council’s documents is not to think them unproblematic. In fact, the issue of documents needing interpretation underlines what I think is a formal problem with the documents of Vatican II: that being explanations or applications of Church dogma and practice, some need clarification. During the Council, the suggestion of tacking chapters of canons on the end of documents ought to have been followed. 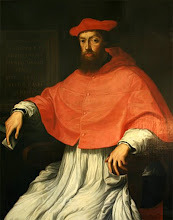 Given this weakness, however, whenever the meaning of documents is disputed, then clearly the best point of reference is the Magisterium in both senses (Pastors and theologians). It is the ecclesial vocation of the theologians to read the document with the mind of the Church, i.e., with ‘the hermeneutic of continuity’, harmonising its contents with previous teachings or taking objections to Rome over the understanding of certain passages. It is the business ultimately of the Holy See to rule on these issues. Otherwise, we’re left at the mercy of the republic of scholars. The fact that the bishops frequently leave the faithful exposed to such experts is appalling, and represents a serious failure of leadership. But it does not destroy the nature of the hierarchy, nor obviate the need for an authoritative interpretation of Church doctrine. The referral of the documents of Vatican II to the authentic Magisterium does not mean that every word in the documents is part of the authentic Magisterium. The authentic Magisterium delivers Christian doctrine not in extraordinary definitions but in an explicative manner. The statement you quote concerning Hinduism is a statement not belonging to the category of Christian doctrine but to the study of comparative religion. It seems to me that it could be compared to passages in previous teaching documents which, because they do not concern Christian doctrine (accounts of historical events, for example), are not magisterial in any way. On the New Mass, maybe the Ottavani/Schidberger studies demonstrate the New Mass is not Catholic, in your opinion. In my opinion they do not. You see? Even if we two were the greatest theologians in the world and we disagreed, we would still need somebody who can authoritatively decide which of us was right. To say that the non-abrogation of the 1962 missal allows us to save the notion of indefectibility doesn’t explain how the Church’s own liturgical books, duly proposed for use by the successor of Peter, could poison her children. We can place the source of the undoubtedly grave problems elsewhere in liturgical culture and malpractice; we can say that the reformed missal and ritual can be improved on; I would even argue that the idea of tinkering reform was too rooted in modern methods of administration; but to say that the books are intrinsically defective would mean that the Church could not sanctify her children with her own books books. It would also not explain the effectiveness of these books where they are celebrated with the mind of the Church. Ultimately, of course, I am quite happy to submit this, my opinion, to the Church’s judgment. As for liturgical aberrations, abuse does not take away use. You could not argue that the abuse of indulgences and relics are to be blamed on relics, but on their poor administration. You cannot say that hierarchical power is bound to promote the creation of sinecures. You cannot argue that the production of cars, motorised carts, is responsible for the death of those who speed. So no, I do not accept that the New Mass has as its natural consequence liturgical abuse. All the SSPX’s positions are the result of comparisons of current and past teachings. It is not the comparison that is wrong. It is the elevation of that comparison into an authoritative way of reading Church doctrine which I have called privatisation of doctrine. Analogous processes can be observed in the way they treat canon law and in their judgment on the liturgical books. I thank you for what was a very prompt yet well-fleshed-out response to my rebuttal (or, I suppose, attempt at a rebuttal). I'm going to need time to digest it (I reflected on your original post for quite a while), though at this stage I can concede only that I seem not to have fully grasped the distinction between the Magisteria of the Teachers and of the Pastors. May I post your response as a new post, not for to 'fisk' it (a mode of criticism that I prefer not to employ) but to bring it to my readers' attention and perhaps offer a few more thoughts? I'm just about to go away for four days so please wait until Monday if you don't mind. Otherwise, I just won't be able to answer. That's quite alright with me; it will give me some time to think on it. It is clear that I did not address adequately the distinction, which is, I now see, quite proper, between the Magisteria of the Pastors and of the Teachers. Seldom seen such a wounderful discussion (fair, respectfull but/and candid). Thanks to both. I am looking forward to the continuation. 1. As youselfe, Card.Pole, admitted, re the "mag. of the teachers" and "of the pastors" ches got the point (as we say in German: Der Punkt geht an ihn). He was right and You, crd. pole, were wrong. 2. But in most of the other themes ches is not convincing but you, c.pole, have the better arguments - even ches sometimes has the better rhetoric or style of argumentation. So a) you are right, c.pole: if one should reject from a group that has a tendency to schism then one thing he can not do at all is to have contact with the average/ordinary dioceses. And more: they do not only tend (or more..) to schism but also to heresy. b) re the NOM there would be much to say but perhaps I can do it at ches´ blog another day. c) very good what you said, c. pole, re objectivity of tradition and meaning/interpretation of a text (magnificent: "...the documents are supposed to be the interpretation! When the terms are known, the meaning is supposed to be clear! ")and to criticism versus the magisterium ("with a respectful presumption ... If it is unclear, then the Pope or Bishops enjoy the benefit of the doubt. But if it is clearly an innovation, then this hardly need provoke a crisis of faith."). That is totaly catholic. In doubt or in not so clear cases the presumption is in favor for the teaching - but there is also the possibility that it is clearly or almost clearly contradicting tradition (if non-infallibele teaching). And then at least you have the right to criticise this new teaching. e) a tendency to see all papal taechings or acts as infallible. daley (on Your own blog) had a point here. Either You make the Pope (de iure or de facto) in everything He teaches or does (as Pastor) infallible or - if not - You can not blame anybody only for having "private judgment" against Him: Because the only way to contradict a Pope if He is not acting infallible and seems to be wrong is - - by private judgment! So if that is not allowed, the Pope must be infallible (at least de facto, so can´t be critisized or blamed for anything He does in his function as Pope). f) And, sorry, even athanasius got/had some point. Perhaps he was a little bit harsh and I hope I am not - believe me, I do not want do be disrespectfull - , but it is a serious thing to start a blog - that is a public platform. starting such a blog and discussing theological things - moreover very difficult and serious things without beeing a theologian or better a bishop (or the Pope Himselfe) it is very dangerous and can be wrong (and sinful). That seems to be much more "private judgment" and modernist or protestant behaviour than our good Archbf. Lef. criticising the Popes. Really, what if your opinions are wrong and only "private judging"? What if only one soul is confused or pertubed and loosing faith? Or one person leaving the SSPX and going to "official" diocesian-parishes - and loosing the faith their, getting into REAL schism this way? Or persons are unsure (because of some arguments of some conservatives like You) if the confessions of SSPX are valid, now going to the parish-priests - that tell them, that it is not a sin to live togehter unmarried, that homosexualitiy is no sin, that it is o.k to join in a protestant worship/service at sunday - and the poor people becoming REAL schismatics, heretics and/or loosing moral... are You aware of this? Can You account for this? Are you competent enough to judge in such serious (and complicated)matters as You do (and blaming others for "private judgement")? GOD have mercy upon us! Picard, thanks for your comment. Yes, clearly I got the 'Magisterium of the Teachers/Pastors' thing quite wrong. More on this soon. Also, Picard: have you commented at Fr. Zuhlsdorf's website? I think I recognise your sign-off. Let me post here what I posted on my blog, and then take up one or two more points that you mention. Sorry, Picard, no. I do not think that all authentic magisterial teaching is infallible. When I say the SSPX put their private opinon before the magisterium, I am trying to say that such judgments for them are absolutely normative and it is in this sense that I consider their position Protestantizing. I see that I should have made this clearer in my argument and I will seek to correct it. This is not just a question of truth in the logical sense (there I concede that any theologian might arrive at the private opinon that some authentic magisterial teaching is incorrect). One might wonder why the authentic magisterial teachings require religious assent of mind and will if they are not infallible. The answer would seem to lie both in the common good of the Church (which is not necessarily that of the forum) and in her abiding relationship with the Holy Ghost. Otherwise, the Church would be set fair to be a continual talking shop whose debates could only be settled by extraordinary definitions. I have not incidentally seen one line of proof that the SSPX consider the authority of Vatican II to be higher than that of the leader articles in 'La Croix', except in Bishop Tissier's explanation of why ABL signed the Council documents he had not voted in favour of. You are quite right that 'magisterial' and 'erroneous' are not therefore mutually exclusive, and the argument as it stands is invalid. What I was getting at, without expressing it properly, is that the traditionalist judgment that the VCII teachings were erroneous allows of no criticism itself. It is not held as an opinon but as a normative position. So, no I do not agree that I am wrong to criticize the SSPX on this point. Which brings me to your last point about competence. Your arguments about ABL's competence are stretching it somewhat. Much as one might appreciate his writings, he had a pragmatic and intuitive mind and it is not exactly right to make him out to be a theologian, as one might describe Journet or Siri. Whatever he had been in the 1950s and 1960s, his position within the hierarchy was also compromised for reasons we need not repeat here. Lastly, I would make a distinction between practical acts and teaching. I happen to think that Assisi was eminently open to criticism, free discussion and even rebuke in a way that, for example, 'Unitatis redingratio' is not. So you are leaping about a little to use Assisi as a proof of your case. As to my position, I have told my story not as an expert but as an informed and intelligent individual who might have written about why he converted to the Church. I submit it to the judgment of others and ultimately to the Church. I happen to think I have done the right thing and hope that it does souls good to hear my reasons. I have insisted on my blog that there are still many things one can criticise so it is unfair to say that because my arguments go against the SSPX position , I am responsible for people who think rejecteing the SSPX means listening to heterodox priests. I'm grateful for comments like your own which indicate where I have expressed myself badly. As Peguy says, we save our souls not like we save treasure but like we lose treasure; in spending it. I really hope and pray to be more clinical and do not want to offend or diss anybody, beliefe me. To ches: more on your own blog (if I have time).